In late 2011 the Simon Wiesenthal Center launched Operation Last Chance II to bring Nazi war criminals to justice in Germany. Operation Last Chance II provides a reward of up to 25,000 euro ($32,900) for information leading to investigation and prosecution of Nazi war criminals; those rewards will be funded by Targum Shlishi and others. Operation Last Chance was originally launched in 2002 by the Simon Wiesenthal Center’s Israel office together with Targum Shlishi. The idea to offer monetary rewards was conceived by Aryeh Rubin, significantly funded by Targum Shlishi, and coordinated by the Simon Wiesenthal Center’s Israel office. Operation Last Chance was launched in Germany, Lithuania, Latvia, Estonia, Poland, Romania, Austria, Croatia, and Hungary. The launch of Operation Last Chance II in Germany was inspired by a legal precedent that led to the reopening of hundreds of investigations. In May 2011 a Munich court found former Ohio autoworker John Demjanjuk guilty of thousands of counts of accessory to murder based on the court’s findings that he served as a death camp guard. He was the first Nazi war criminal to be convicted in Germany without evidence being presented to the court of a specific crime with a specific victim; prior to his conviction, no case would be prosecuted in Germany without such evidence, a fact that severely limited the prosecution possibilities. The court ruling means that any individual could be convicted of accessory to murder if they were guards at a Nazi death camp that existed solely for killing, without adjacent labor camps (Belzec, Sobibor, Chelmno, and Treblinka), or were members of the Einsatzgruppen (mobile killing units), to which the precedent also applies, according to meetings Zuroff has had with German judicial officials. 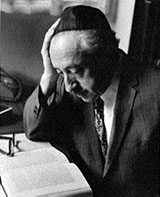 Eliezer Berkovits (1908–1992), a Jewish philosopher and theologian, is known for his philosophy of Judaism that focuses on man’s role in history and for his view that the task of Jewish philosophy is to “make Judaism a significant philosophy of life in the intellectual climate of our age … [and] equip it with the truth of God in relationship to the vital issues of present-day human existence.” A prolific writer who published nineteen books and hundreds of articles, Berkovits’s Faith After the Holocaust (1973) takes on the problem of evil in the wake of the Holocaust. Targum Shlishi recently supported the translation of Faith After the Holocaust into Serbo-Croatian so that the Jewish community there, under the guidance of Belgrade’s dynamic theologian, Rabbi Isak Asiel, could gain familiarity with Berkovits’s defense of the covenant. Among Berkovits’s arguments in Faith After the Holocaust is the consideration of human responsibility when considering the Holocaust and the role that Christianity played in promoting anti-Semitism in Europe. This free, weekend-long Holocaust Studies Community Symposium is bringing several renowned scholars to Miami to discuss the Holocaust and its ramifications. The symposium is hosted by the Adrienne Arsht Center for the Performing Arts of Miami-Dade County and is part of the three-month, county-wide human rights collaboration LIGHT/THE HOLOCAUST & HUMANITY PROJECT, which complements the ballet of the same name to be performed by Ballet Austin at the Arsht Center on November 3–4. Symposium speakers include Michael Berenbaum, a scholar, consultant, filmmaker, author, and former director of the United States Holocaust Museum Research Institute; William Meinecke, historian at the National Institute for Holocaust Education; Cheyenne Martin, author; Rafael Medoff, founding director of The David Wyman Institute for Holocaust Studies; and Miriam Klein Kassenoff, Miami-Dade County Public Schools specialist on Holocaust education, who also is moderating the symposium. While the lifespans of Nazi war criminals are coming to a rapid end, “there remains the issue of property crimes. And ultimately, those crimes have to be resolved,” explains Henry S. Hacker, who is researching a complicated court case involving Nazi looted art for his thesis for a master’s of liberal arts degree in museum studies at Harvard University Extension School. Hans Sachs, a Jewish dentist in Berlin and major collector, assembled what many believe to be the world’s most extensive and significant poster collection, with over twelve thousand posters from the period 1880 to 1930. His collection was seized by Nazis in 1938. Sachs escaped to the U.S., where he lived until his death in 1974. Under the assumption that the posters had been destroyed, he received compensation from the West German government. However, a portion of the collection, about four thousand of the posters, later surfaced in a museum in East Germany and is now part of the German Historical Museum (GHM) in Berlin. His son, Peter Sachs, sought return of the posters in the mid-2000s, which has led to a case with many twists and turns. In February 2012 the case goes before the highest court in Germany. The case is significant, in part because in issues of repatriation there is a lack of precedent, law, and protocol. Hacker, a lawyer and business executive, received a grant from Targum Shlishi to help support his trip to Berlin to attend the court hearing and to further research the collection. Each year for the past several years, Targum Shlishi has sponsored a film on a subject related to the Holocaust for the Miami Jewish Film Festival. In 2012, Targum Shlishi is sponsoring the drama In Another Lifetime (director Elisabeth Scharang, Austria, 2010, 94 min., German, Hungarian with subtitles)—this will be the film’s Miami premier. In Another Lifetime centers on a group of Hungarian Jewish prisoners on a forced march to Mauthausen at the end of World War II who become stranded in an Austrian farming village and are hidden in a barn. One prisoner is an opera singer whose singing touches both the other prisoners and a farmer and his wife. Holocaust survivors who are facing advanced illness and/or end of life are a unique patient population with particular needs and challenges. Unfortunately, many health care professionals are not sufficiently aware of or knowledgeable about the lingering effects of Holocaust trauma on the survivors, and therefore lack the tools to deal compassionately with this population and their families. MJHS Hospice and Palliative Care is creating resources to help train clinicians (social workers, case workers, chaplains, doctors, nurses, nurse practitioners, physicians’ assistants, home health aides) to interact more effectively and compassionately with Holocaust survivors at the end of life. The survivors and their families can pose unique challenges for clinicians. “Holocaust survivors may experience flashbacks based on their traumatic experience. This can be viewed by clinicians as psychosis, agitation, or severe depressive disorders. When professionals are educated about emotional triggers for Holocaust survivors, it allows them to deliver care in ways that are sensitive to their experience,” explains Toby Weiss, MJHS’s director of Cultural Diversity and Jewish Programming. Award-winning filmmaker Elkan Spiller is at work on a feature documentary about the relationship between a Holocaust survivor and her adult son, who after years of world travel and various successful (if eccentric) business ventures, devotes his life to caring for her. The film is both a particular story about altruistic love and deep humanity and a larger commentary on ways in which the trauma of the Holocaust affects the next generation, the children of survivors. Spiller spent years shooting the footage for the documentary, much at his own expense. 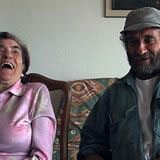 A short film drawn from this material, Mama L’Chaim, won several awards internationally, including first prize from the Los Angeles Museum of the Holocaust short film festival. He is in the process of post-production on the documentary, for which he has received a matching grant from the FFA (German film fund); he also has an international distributor lined up. He is currently raising funds for the matching grant. Targum Shlishi has pledged to help support post production work. This week-long program to be held during the summer of 2012 will educate approximately seventy-five teachers from Miami-Dade County Public Schools (teachers from elsewhere can also attend). The Institute’s goal is to provide knowledge and a framework for teachers in a variety of disciplines to teach the lessons of the Holocaust using literature, history, and primary documents effectively throughout the curriculum to encourage students to learn, think, feel, and reflect and to develop character, compassion, and civility in their daily lives. Targum Shlishi is sponsoring an adult education course that runs from February through May 2012, with classes held at Temple Sinai of North Dade, Miami. Through a unique curriculum of first-person diaries, memoirs, journals, poetry, literature, and extensive multi-media resources, eyewitness voices of the Holocaust speak. Who were these people? How did they survive? This course focuses on topics of spiritual and physical resistance, Jewish and non-Jewish rescue, making moral choices in immoral circumstances, and more. The course is taught by Miriam Klein Kassenoff, Ed.D., a renowned Holocaust educator locally and nationally and is part of the Florence Melton Adult Mini-School, offered through CAJE (Center for the Advancement of Jewish Education).